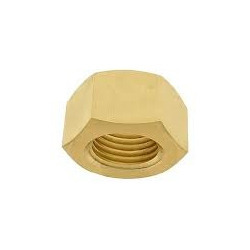 We are the manufacturers of a wide range of Brass Round Nuts. These products have a very strong body and are heat and corrosion resistant. These products perform efficiently in various domestic and industrial applications. Quality is something we give utmost importance to and thus the production process involves use of high quality raw materials. We offer these quality products at a very reasonable price.